Do you wake up every morning with a stiff and painful neck? Looking for a good way to have better sleep? Want a more supportive and comfortable pillow? Read this guide and we’ll let you know some of the top picks for the best pillows for neck pain! A lot of people suffer from chronic neck pain as a result of the wrong sleeping position or using the wrong pillow! So, if you want to sleep better, we’ll help you find the pillow that will work best for your needs. To start, let us first discuss how using the right pillow can impact the quality of your sleep, especially when it comes to reducing the chances that you will suffer from neck pain. According to Harvard Medical School, the right pillow is one of the best ways to bid neck pain goodbye. It has been noted that this can help in the alignment of the neck with the head and the body while providing the support that is needed. It is also recommended to use a feather pillow. However, we personally find it to be too soft. The material can degrade quickly, so we did not consider feather pillows in this guide. If you use a pillow that is too high or too low, the neck can suffer from the wrong sleeping position. Meanwhile, when it is too soft or too hard, it may not be as supportive. Pillows that tend to be on the firm side can put too much pressure on the neck and can also restrict blood flow and pinch nerves. 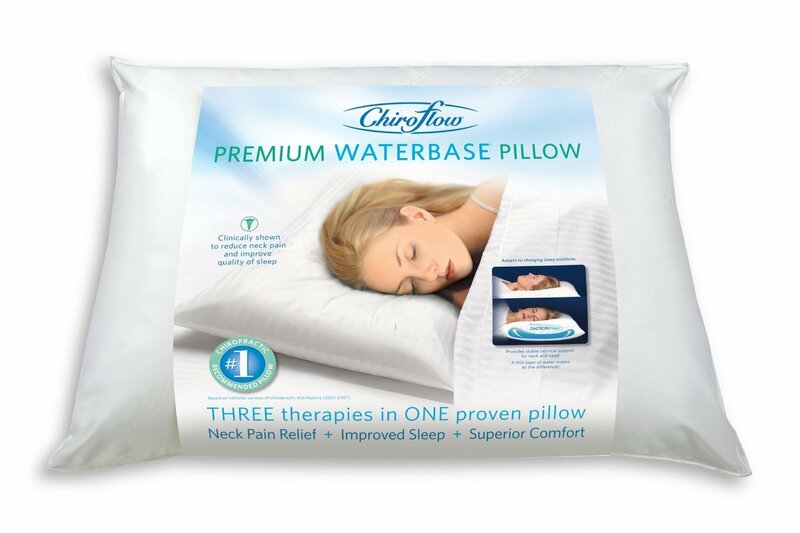 Having a hard time choosing the best pillow that will work best for your neck pain? This section will quickly tackle some of the most important factors that you have to take into consideration. 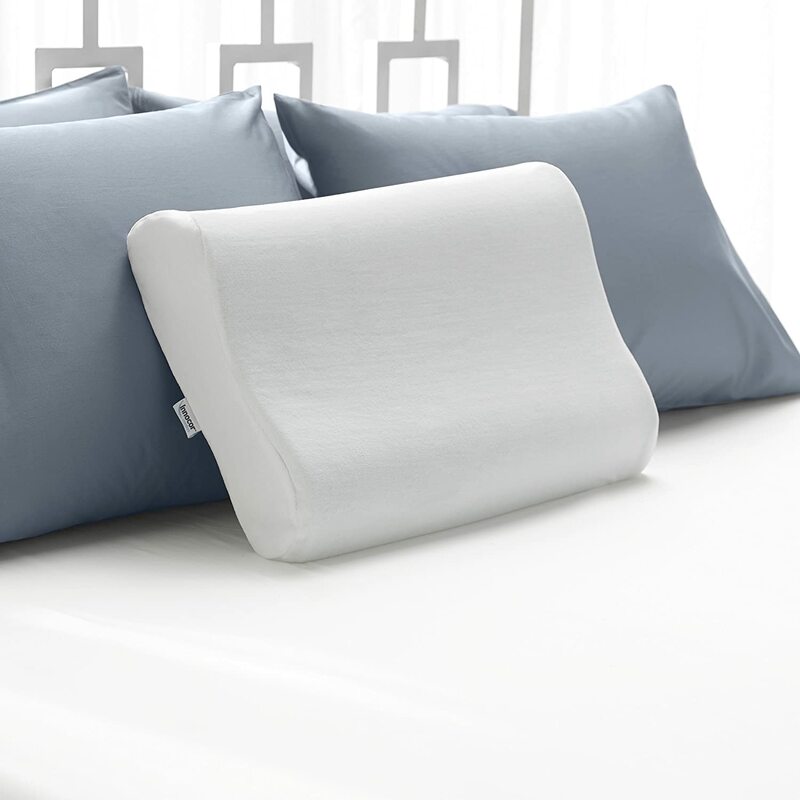 The choice of material will have a huge impact on the overall quality of the pillow, including durability, comfort, and its ability to combat neck pain. As mentioned above, feather pillows tend to be a great pick, but since it easily goes flat and can be lumpy, we do not recommend it. Instead, most of the pillows that will be recommended below are made using memory foam. They provide great support for the neck. However, you have to make sure that it is not too firm or too soft for the neck. 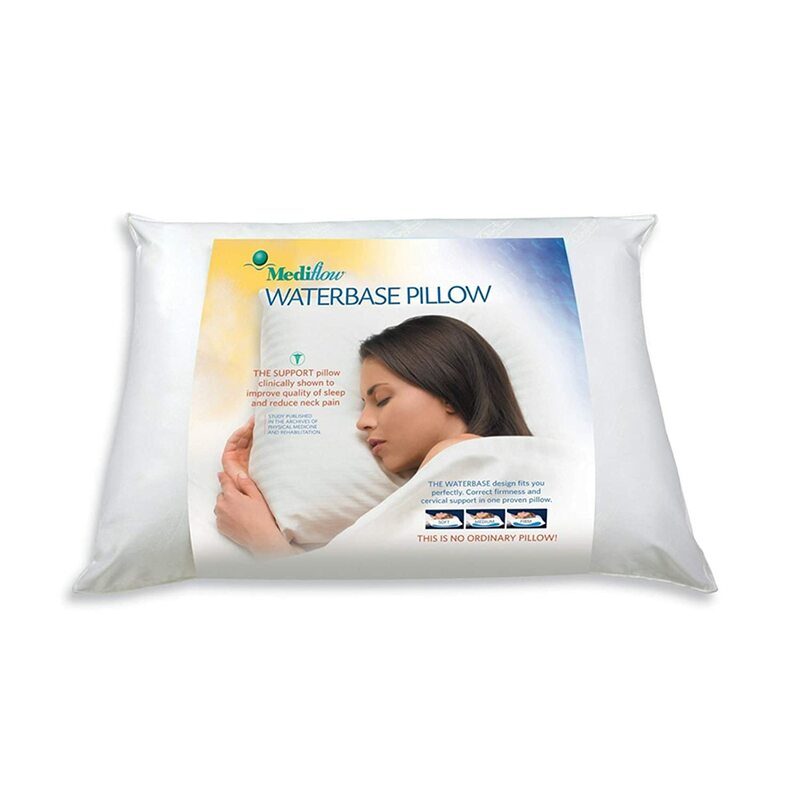 Water-based pillows will also be great in terms of preventing neck pain. It can be quite unconventional, but a lot of people choose this material because it allows your head to stay cool and comfortable, especially during hot nights. As much as possible, you should avoid pillows that are too small, especially if you are the type of person who moves a lot when sleeping. Larger is always better. You have to consider the size of your head to find the size of the pillow that will work best for your needs. The shape of the pillow should be supportive of the neck and the head. It is also important to consider your sleeping position to pick the shape that works best for your needs and comfort. Some pillows have V-shaped sides and recessed center to keep your head in a contained position, which can effectively prevent neck pain. 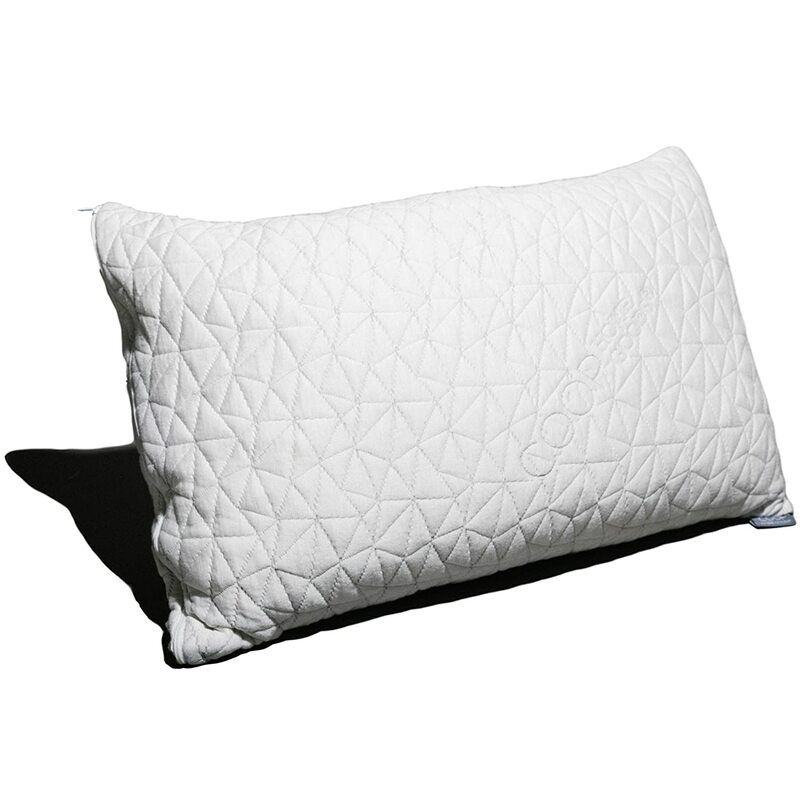 To keep the pillow clean and hygienic, it is important to choose one that is easy to clean. In the case of the products that are mentioned below, they are washable. You can wash them in the washing machine to get rid of the foul odor, dust, and other elements that can cause allergy and other sleep problems. While it is indeed a given fact that the right pillow can help to alleviate neck pain, the right sleeping position will also be critical. In one article from Forbes, it has been noted that it would be best to sleep on your back or side if you would want to avoid neck pain. 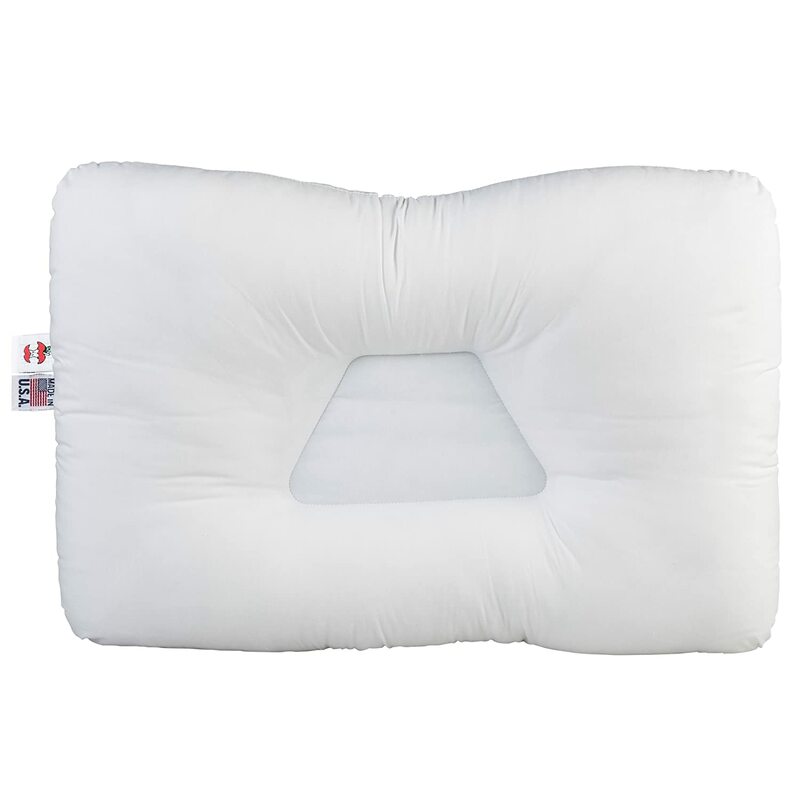 For back sleepers, it is recommended to use a pillow with a rounded shape. The latter is recommended because it can support your neck’s natural curve. If you sleep on your side, however, there are pillows with a unique shape that can cradle the neck. The pillow should be higher under the neck compared to the head, which will be crucial for the alignment of the spine. Our team spent hours of research to come up with a list of some of the best pillows that should be on your radar, including those that are briefly listed below. The unique construction of this pillow is one of its impressive features, which might make it helpful for people who often suffer from chronic neck pain. It has a water-based technology, which, as the manufacturer claims, has effectiveness backed by research from John Hopkins. Since it is filled with water, it has a fully-sealed and insulated pouch, although, there are still some users who noted the possibility of leaking. If you are unhappy with your purchase, you can return it to the manufacturer within 30 days and you will be given an unconditional refund. Plus, it is backed by a three-year warranty. With shredded memory foam as the inner material, it can provide customized comfort and support to prevent neck pain. You can adjust the fill depending on what you are most comfortable with. As for the outer materials, it is made of 60% polyester and 40% rayon, which is derived from bamboo. It is a good thing that these materials are hypoallergenic. It can also resist dust mites. The pillow also comes with a five-year warranty from the manufacturer. Like the pillow that has been mentioned above, shredded memory foam is also the main material that is used in this product. Based on the information from the manufacturer, this is made specifically for side sleepers. 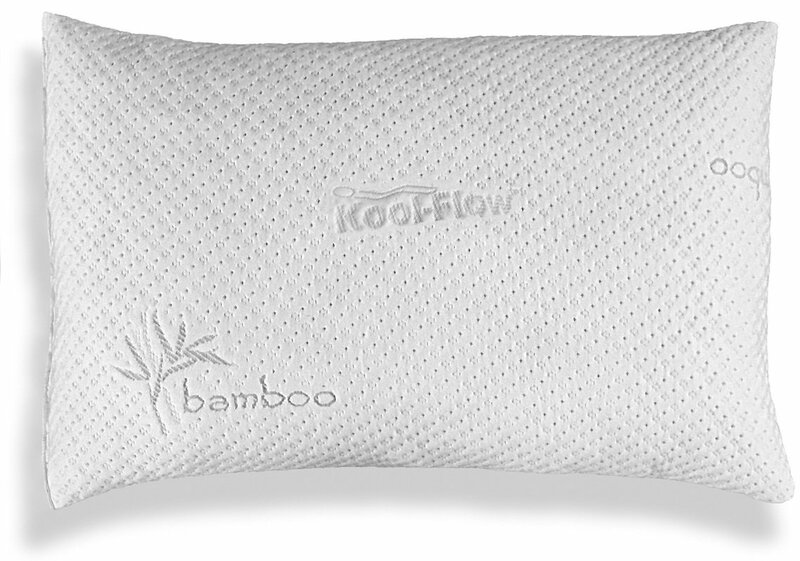 One of the notable features that you will find in this pillow is the Micro-Vented Kool Flow Technology. The latter is incorporated in the bamboo cover, which will improve air circulation to regulate temperature during your sleep. Lastly, it comes with a 30-day money-back guarantee from the manufacturer. The design of this pillow is one of the reasons why it can be effective in the prevention of neck pain. It is slightly curved, so you can expect the ability to support the neck when you are sleeping. The unique shape of the pillow can also help in the improvement of blood circulation while also inducing muscle relaxation. It is made using 100% premium memory foam, which has been sourced all the way from Germany. There is also a washable and luxurious cover to help you sleep better. One of the features that we loved the most in this product is the interlocking fill, which has been developed exclusively by the manufacturer to make sure that it will not go flat even with long-term use. To provide buyers with peace of mind, it is notable that they are offering a 10-year warranty, which is one of the most extensive we have seen on the market. It is also machine-washable and dryable, which will make it a snap to have it cleaned. As the manufacturer claims, this can provide therapeutic support, which is why it can help minimize the likelihood of suffering from neck pain. This can be attributed not only to the curved design of the pillow but also to the use of high-quality memory foam. It has three pounds of memory foam, which can help in the gentle alignment of the neck and shoulders. The pillow is backed by a generous five-year warranty. It has a different shape from most of the pillows that we have listed in this guide as it comes with a recessed part in the middle. This, however, is done to correct the spinal posture and position of the neck, which is also perhaps one of the reasons why it can be effective in preventing neck pain. Take note that this is a very firm pillow. So, if you want one that is soft, this won’t work for you. In terms of materials, it is filled with 100% virgin polyester fiber. The shape of this pillow is similar to the product that has been mentioned above, which some people might find a bit awkward. There is a recessed center and V-shaped side to cradle the neck in a comfortable position. It provides slight traction, which can make it effective in providing better support for the neck. 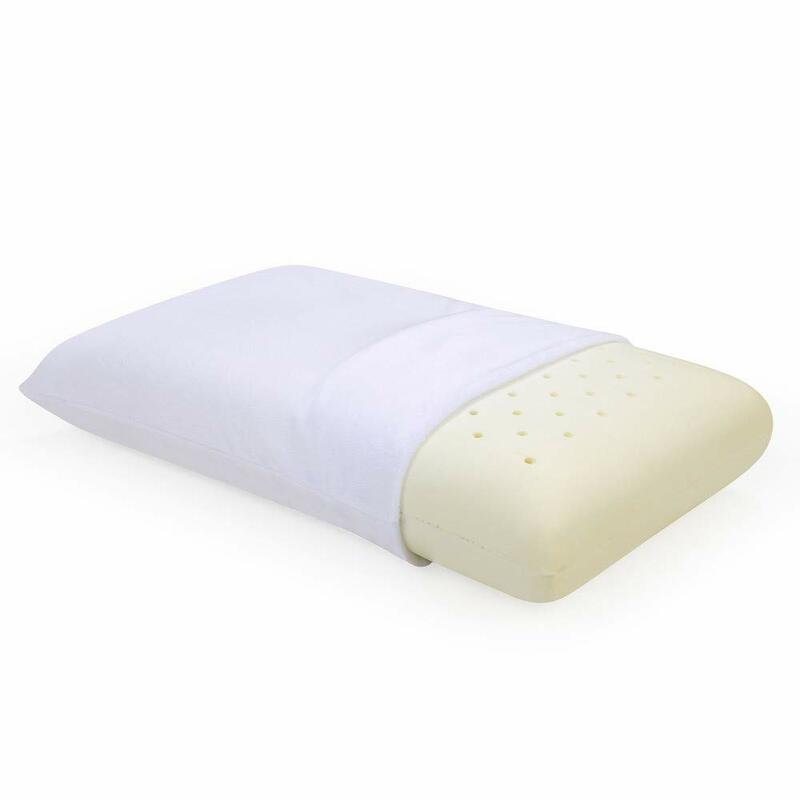 This orthopedic pillow is available in three sizes, so you will have the option to choose which one is best for the size of your head. One thing that makes this unique is the fact that it is filled with water instead of memory foam or any solid material. With this, you will be able to change the level of firmness by simply adjusting the water that is used for the filling. It also comes with a thermal insulator, which can make you feel more comfortable even when it is hot. The water-based filling, however, may not work for most people. Some even reported that it can be easily prone to leaking. 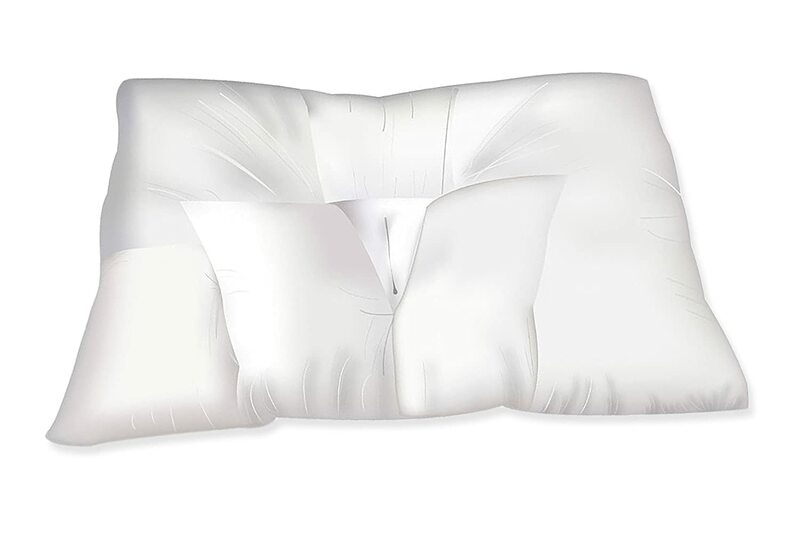 The responsive memory foam that is used in this pillow is one of its best features, which is ergonomic and can support the neck in your sleep. The polyester cover, on the other hand, is soft and luxurious. It is ventilated, so you can enjoy excellent air circulation, allowing it to effectively regulate body temperature. However, because of the thick foam, there are some who might not like the fact that it is quite high. In sum, the best pillows for neck pain will be critical in making sure that you have a comfortable sleep and you wake up to wonderful mornings! They can provide a supportive and ergonomic sleeping surface that will align the neck and the head. 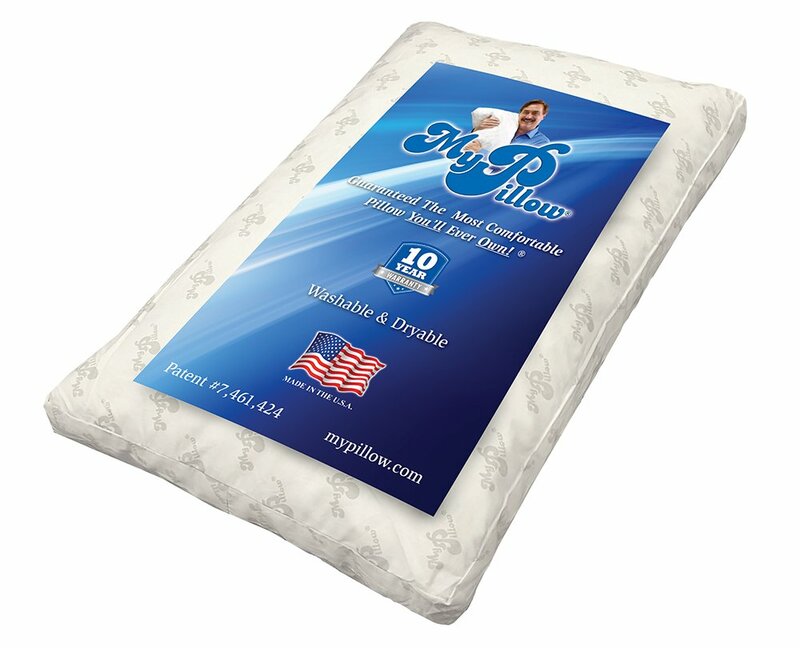 http://toptenpillow.com/ is a participant in the Amazon Services LLC Associates Program, an affiliate advertising program designed to provide a means for sites to earn advertising fees by advertising and linking to Amazon.com. Amazon, the Amazon logo, AmazonSupply, and the AmazonSupply logo are trademarks of Amazon.com, Inc. or its affiliates.